Home / Manic Mondays! • Pretty In Pinky / Manic Monday! 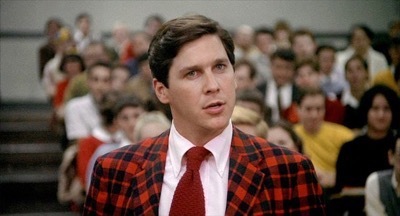 Pinky Checks In To Animal House After Meeting Tim Matheson! Selfie Goodness! Manic Monday! 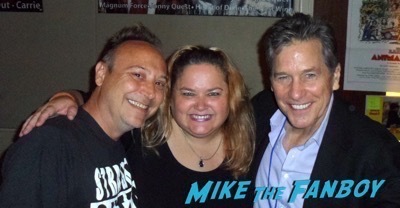 Pinky Checks In To Animal House After Meeting Tim Matheson! Selfie Goodness! Animal House and A Very Brady Sequel are two of my favorite films. 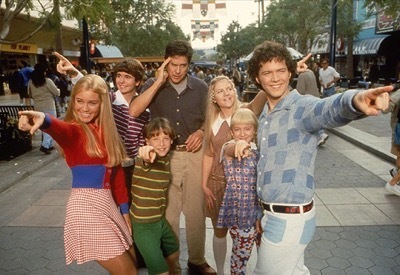 How can you not love them? Pinky and Keith Coogan headed out to meet the one and only Tim Matheson recently and he was so nice! Hello, my lovelies. Pinky Lovejoy-Coogan here still recovering from our quick trip to San Francisco for Mouse-Con 2017. What a fun time! Before Mouse-Con, we had the opportunity to meet the one and only Tim Matheson at the most recent Hollywood Show. Tim was high on my list of people to meet and he could not have been sweeter. Tim’s career started when he was only 14 and he’s been in memorable roles on Animal House and The Very Brady Sequel, just to name a few. As we were waiting in line for him, we ended up behind someone who had bought THIRTY items to be signed! And, mind you, there was already a big line for Tim, so this was person was really slowing everything down. By the time we got to Tim, I thought I’d be funny and said, “Sorry, we don’t have thirty things for you to sign, we just want a picture.” He laughed and seemed to enjoy that. Such a nice guy! Very cool to everyone who came by. Sometimes the quick experiences can be the most fun. For additional pink fodder, please visit www.pinkylovejoy.com or follow me on Twitter @pinkylovejoy and Instragram @pinkylovejoycoogan. As always, have a pink day! Manic Monday! Meeting The Cast Of Stranger Things! Gaten Matarazzo! Millie Bobby Brown! Caleb McLaughlin! And More! Pretty In Pinky: What Do You Get When You Cross Duran Duran’s Nick Rhodes and True Blood Star Sam Trammell? Why Pinky’s Dog Sammy Rhodes Of Course! Manic Monday! Pretty In Pink! Our Own Pinky Meets The Cast! Molly Ringwald! Harry Dean Stanton! Jon Cryer! 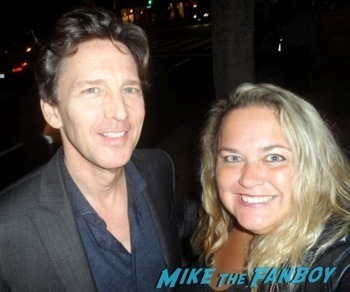 Andrew McCarthy! And More!